WOW! What A Great Year 2016 Has Been For GorMusik!!! I'm ecstatic over the news of GorMusik Winning the Friday Night Progressive 2016 IndeProg Award For Composition For My 'Fun In OuterSpace Album'!!! I am truly honored and humbled, thank you all so much for your continued support! Congrats, Gordo! You impressed us so much! Gordo has been playing guitar for 45+ years. 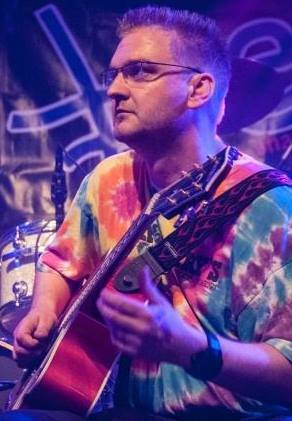 His musical influences include Robert Fripp, Adrian Belew, Alex Lifeson and Al DiMeola, all leading him into guitar synthesis. This current solo project Fun in OuterSpace was recorded using a synth guitar and covers a lot of musical genres ranging from Classical to Metal. All of Gordo's projects are produced, recorded and mastered at GorMusik Studios. I am currently working on several new projects to be released as they become available. I can be found on Face Book, Twitter, Reverbnation, Bandcamp, and on my website. Found Here At BackGround Magazine. Thanks Angelo! Ones & Zeros Pt 1.